Realistic Tattoo. Found on livejournal.com. 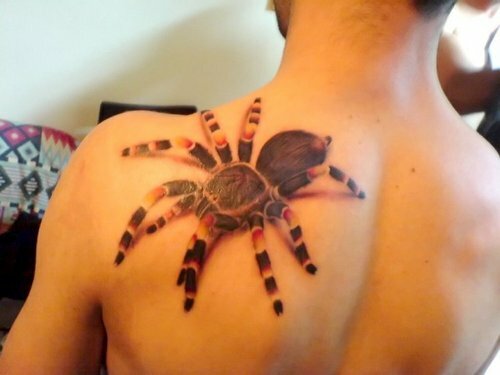 HD Wallpaper and background images in the tatuagens club tagged: tattoo ink color art photo image spider. It was from a random picture community. It didn't have credit. That is reall sweet!!!! How log did it take??? ?